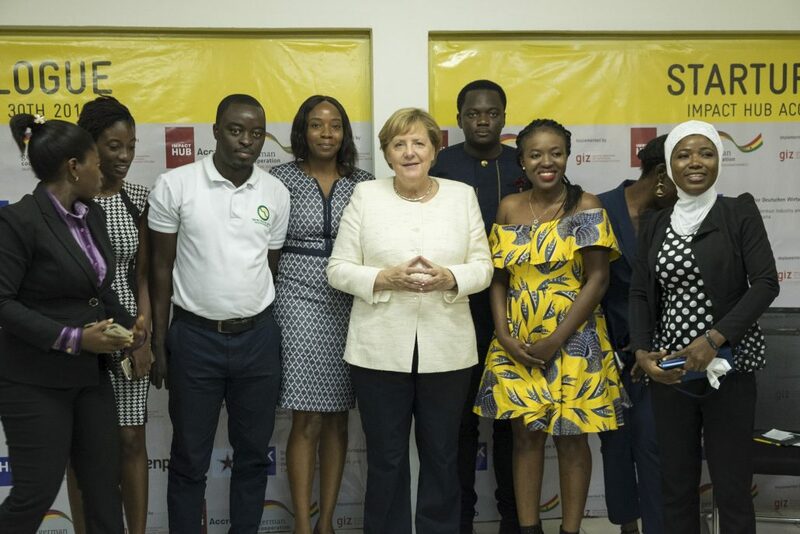 German Chancellor Angela Merkel paid a visit to Impact Hub Accra last week during her brief three-day West Africa tour, signaling the country’s strong interest in supporting entrepreneurship in one of Africa’s fastest growing economies. After meeting with Ghanaian President Nana Akufo-Addo to discuss bilateral issues, Merkel, the Federal Minister of Economic Cooperation and Development Gerd Müller, GIZ CEO Tanja Gönner, and a delegation of nearly a dozen German CEOs convened at Impact Hub Accra to discuss how to increase innovation and support local entrepreneurs. 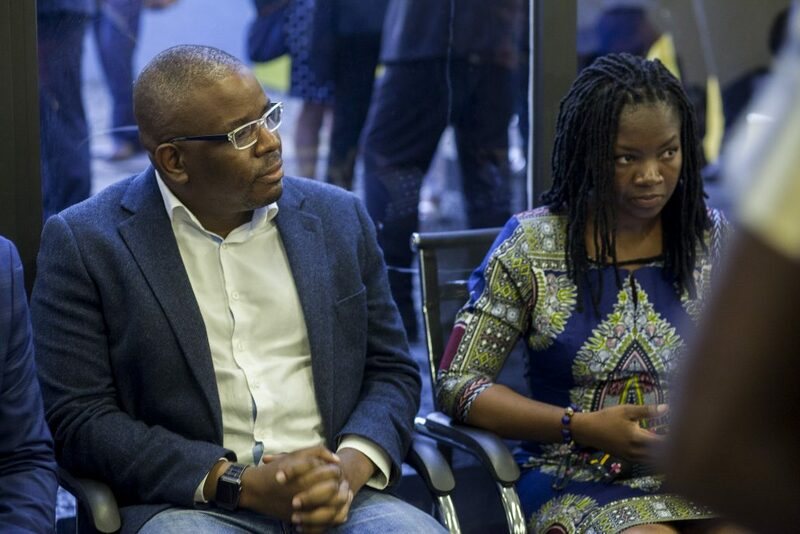 Impact Hub Accra, which arranged the visit in partnership with Germany’s international development agency GIZ, has played a central role in accelerating Ghana’s local startup ecosystem. GIZ and Impact Hub have already successfully collaborated on a number of projects around the world in recent years and are taking the partnership further by for example designing a digital transformation center in Kigali, launching the GIZ Innovation Fund, and implementing the #eSkills4GIRLS initiative. Impact Hub Accra is part of the global Impact Hub network, and is one of 100 locations in more than 50 countries in 5 regions. 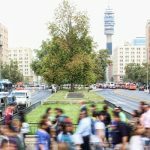 Impact Hubs act as catalysts to foster local entrepreneurship and create tangible impact by creating solutions to some of the world’s most pressing issues. 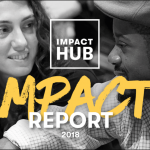 Members of Impact Hubs have together served 21 million customers and beneficiaries, and reached 150 million people in 2017 alone. 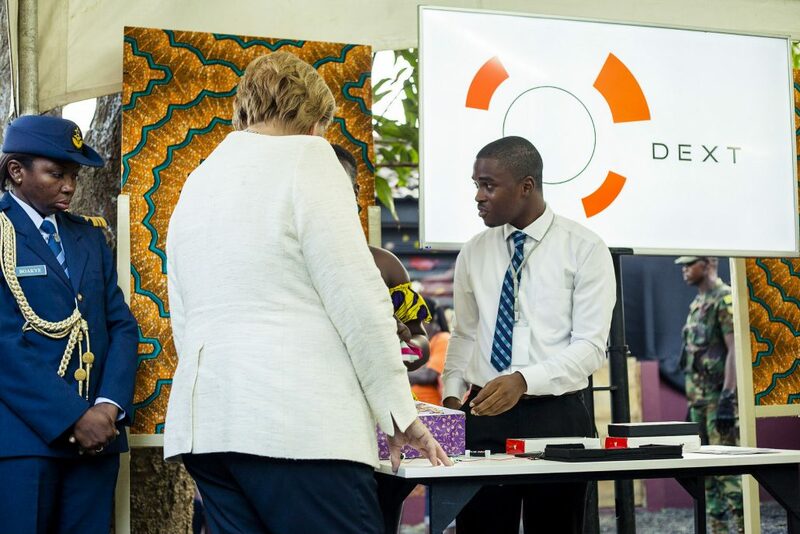 Merkel was welcomed by Impact Hub Accra CEO and Co-Founder Will Senyo, who gave her a tour of Siemens Stiftung and Impact Hub Accra’s Makerspace, a digitally-connected lab designed to encourage collaborative entrepreneurship. Makerspaces have become a definitive part of entrepreneurship in African cities, and provide a launching pad for new companies, especially those in Science, Technology, Engineering, Art, and Math (STEAM) fields. In addition to Accra, Impact Hub and the Siemens Stiftung have partnered to bring Makerspaces to Lagos and Johannesburg. After a product demo by the program manager of Impact Hub Accra and exhibition tour, Merkel sat down with Ghanaian members and founders of companies Salbix Foods, Dext Technology, Zaacaoal, Chalkboard Education, Gizzeo, Farmerline, Trotro Tractor and Developers in Vogue. The visit also included a closed door meeting with Senyo and eight selected entrepreneurs to discuss issues faced by Ghanaian youth, and the program opportunities between German industries and Ghanaian startups. Merkel’s trip represents a new period of collaboration between global investors and local incubators in Africa united in promoting economic growth and reducing unemployment in the world’s youngest continent. In December, Impact Hub Accra will partner once again with GIZ to co-host re:publica, Europe’s biggest digital and Internet conference. Impact Hub Accra’s on the ground activities will include co-organizing, hosting and logistics support. Ghana will be the first African country to host this event. Re:publica will be an opportunity to “strengthen dialogue on digital topics between Germany and Africa and use this intersections of digitalization and development,” according to the event’s press release. “Re:publica is one of the world’s most exceptional festivals on digital culture, with 9,000 participants coming from all areas of society,” explained Senyo. The growing international interest in supporting entrepreneurship in Ghana is a testament to the government’s recent efforts to support startups. “There is a critical mass of young Ghanaians who believe in the promise of doing business in Ghana and providing jobs for their peers. These visits provide validation of our work and also bring it to mainstream attention locally,” said Senyo. In July, the Ghanaian government launched the National Entrepreneurship and Innovation Plan, a policy initiative to accelerate new businesses and encourage innovation. 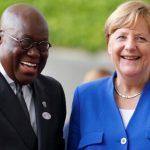 “The stronger we are the better it is for our youth to stay” Akufo-Addo said during Merkel’s state visit.As the series of recent high level visits by European leaders to Impact Hub Accra shows, Ghana’s young entrepreneurs are ready to innovate and the country is open for investment. 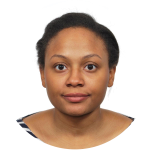 Halima Gikandi is a Nairobi-based journalist covering politics, trade, and human rights in East Africa.